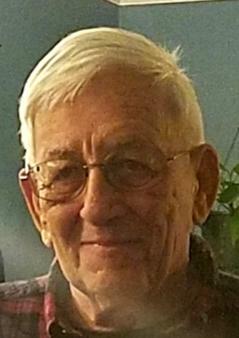 Mr John J Schwartz, of Harrison passed away on Tuesday September 25, 2018, he was 90. The funeral Mass will be offered on Wednesday October 3, at 10 a.m in St. Cecilia's Church, Kearny. Interment will follow in Holy Cross Cemetery. Relatives and friends may visit in the Condon Funeral Home 684 Kearny Ave, Kearny (condonfuneralhome.com) on Tuesday from 4-8 pm. Mr. Schwartz served in the US Navy during WWII. He was employed by General Motors is Elizabeth and Englewood as a maintenance man for 42 years until retiring in 1988. He was predeceased by his wife Jean Schwartz and is survived by his children, John Schwartz, Ann Greenemeier, George Schwartz, Jim Schwartz and Tom Schwartz. Also surviving are his brother, Daniel Schwartz as well as 10 grandchildren and 10 great grandchildren.